On February 13th we visited the Puheke Reserve on the northern shore of the Karikari Peninsula in the Northland region of New Zealand. 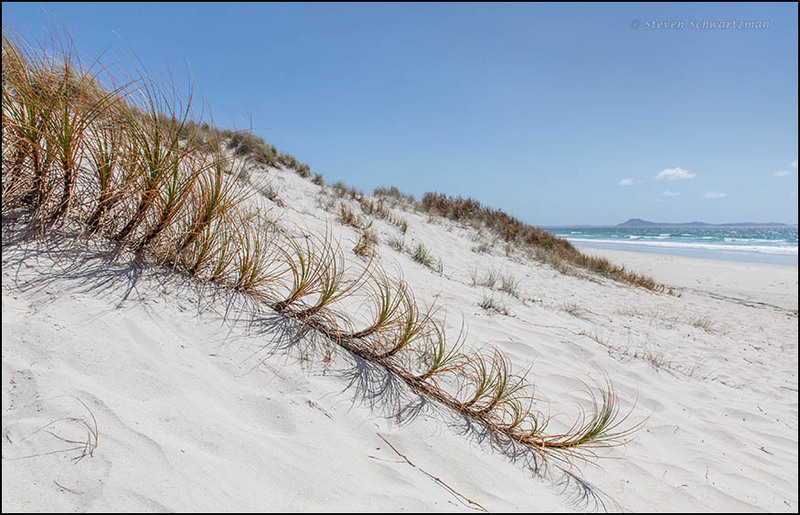 My attention was soon drawn to a plant that on the whole grew toward the sea even as individual tufts tended to curl back in the opposite direction. The best I can tell, the plant is pīngao, a sedge that botanists classify as Ficinia spiralis. It’s endemic to New Zealand but animal grazing and the spread of a non-native grass have continued to curtail this sedge’s historical range.